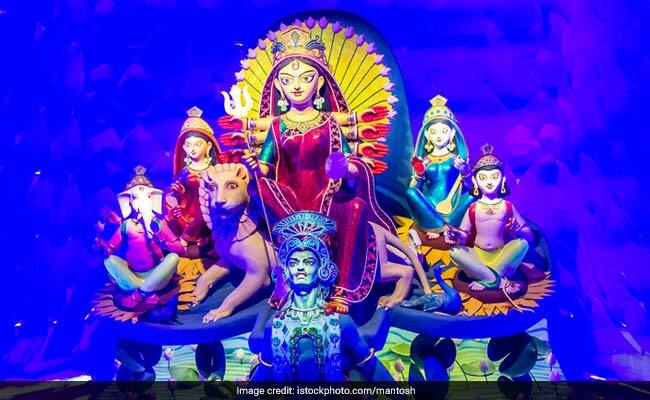 Navratri Colours 2018: Navratri 2018 is just around the corner and Indians are looking forward to celebrate the nine avatars of Hindu divine Goddess Durga. The festival of Sharad Navratri begins from 10th October, 2018 and will end on 18th October, 2018. Navratri 2018 is just around the corner and Indians are looking forward to celebrate the nine avatars of Hindu divine Goddess Durga. The festival of Sharad Navratri begins from 10th October, 2018 and will end on 18th October, 2018. The festival is celebrated with much grandeur in different parts of the country, which lasts for nine nights and 10 days. According to the Hindu calendar, the festival falls in the month of Ashvin. Each day is devoted to different forms of Goddess Durga and is denoted by nine colours. During this festival, devotees observe fast and celebrate it with much grandeur. Special foods are prepared through the nine days, according to the colours to celebrate Navratri. We tell you the nine colours associated with the Goddess Durga and the foods that you can prepare on each day. The first day is dedicated to Shailputri, who is known to be Goddess Parvati, the daughter of mighty Himalaya. While there are many yellow colour foods that you can have during this day, nothing can go wrong with some sweet. Prepare some kesar ki kheer or kesar ka halwa to commemorate the day. The second day is dedicated to Goddess Brahmacharini, who was Goddess Parvati when she was unmarried. Celebrate this day with raw banana or kachcha kele ki barfi, which is green in colour. The third day is dedicated to Goddess Chandraghanta. This name was derived when Goddess Parvati started adorning half Chandra (moon) on her forehead after getting married to Lord Shiva. If you are fasting on this day, you could prepare some kuttu ki sabji or kuttu ki puri. The fourth day is dedicated to Devi Kushmanda, who is also known as the creator of the universe. She is also known as the deity who has the power and capability to reside inside the sun. Motichoor laddoo can be one of the orange sweets you could have on this day and offer it to the deity. Goddess Skandamata is worshipped on the fifth day. Skandamata or mother of skanda, also known as Lord Kartikeya, is said to ride a lion along with the baby in one of her hands. You could prepare makhane ki kheer for this special Navratri 2018 day. Goddess Katyayini, the warrior goddess, is worshipped on the sixth day. On this day, red is denoted as an important colour. While there is no specific re-coloured food, you could prepare a healthy beetroot and carrot juice. The seventh day is dedicated to Devi Kalaratri, who killed the two demons Shumbha and Nishumbha. Blue makes an important part of the day. While there is no specific blue-coloured food, blueberries and prunes could be a great pick for you. If you are fasting, fruits and dry fruits make an important part. Mata Mahagauri is worshipped on the eighth day of Navratri 2018. Celebrate this day with pink colour. Prepare some rose petal kulfi or ice-cream on this day. Last but not least, the ninth and final day is dedicated to Devi Siddhidaatri, who is believed to possess all knowledge and wisdom. This day is denoted by the colour purple, so you could have a handful of anjeer or figs that are easily available in this season.